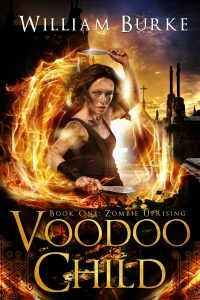 Voodoo, or more properly Vodou or Vodun (Voodoo being a more Hollywood-ized version of the word), is a religion stemming from Africa that’s widely practiced in many Caribbean countries (most famously Haiti) as well as Africa, South America and Louisiana. 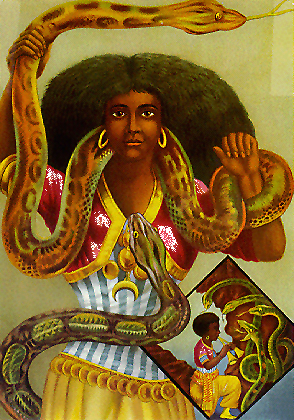 The core belief in Voodoo is that there’s one god (Bondye) and that god employs spirits (or loa) to deal with day-to-day stuff like spiritual middle management. Each of these loa represents facets of earthy life. Like the Greek gods, loa are very powerful but have human foibles and egos, which can make invoking them tricky business. Many have a fondness for cigars, rum, mutton, mirrors and coffee and offerings of these items are encouraged to curry favor. The loa never appear in the flesh but possess those who call to them for short periods of time. It is considered a great honor to be mounted by the spirits. UNORIGINAL & UNFORGETTABLE – 10 Amazing Knockoff Films!